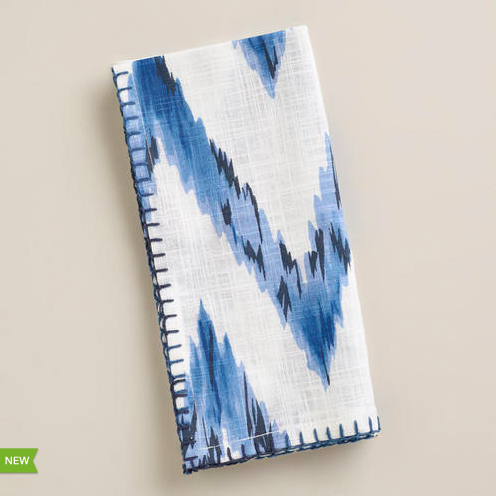 Flipping through a Pottery Barn catalogue recently, I was thrilled to see these interesting navy and white ikat prints--aren't they striking? They reminded me of a new set of table linens that World Market is carrying, and that, the previous week, I had sadly left behind in the store because, after considerable effort, I could not think of a justifiable reason for buying them. 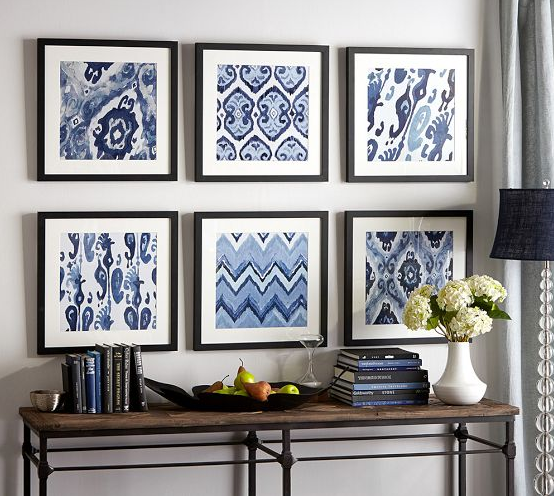 When I saw these prints, I knew exactly why I "had" to have the World Market linens. Hurrah! Six different Pottery Barn prints, $156 a piece, or $929 for the set. Here's my version: World Market linens in IKEA frames, for $24 each (frames plus napkins), or $48 for the set. Unfortunately, I can't show them as a display, because I'm planning to hang them in my office, but you get the general idea. I went with white RIBBA frames from IKEA, instead of black, because I like an airer look. 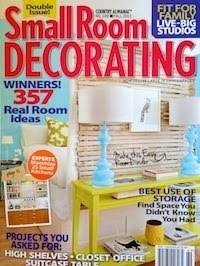 I'm crazy about the chevron ikat. A view of the Pottery Barn prints in a bedroom. You could absolutely do them with black frames, too. 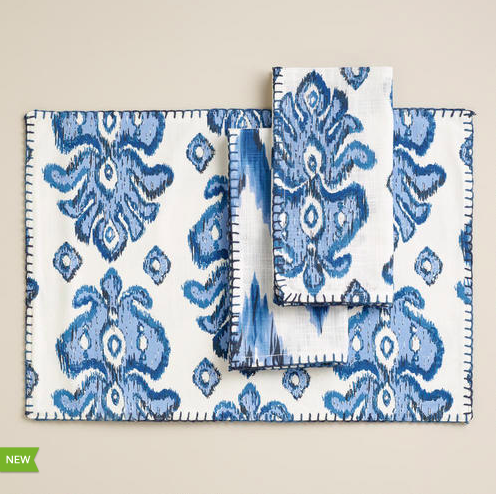 World Market's ikat linens. I used the napkins, and there are at least four patterns--they run about $3.99 each (two are shown here). This chevron ikat is my favorite by far! And look what happened--I ended up just buying them for my table, too. They're marvelous with the Juliska Country Estate pattern. I've started collecting the set due to family pressure (it's the South. You must have dayware and china patterns chosen for family and friends to gift you with over the holidays, and this is not optional). P.S. The placemats have a different pattern on each side, which is very fun. 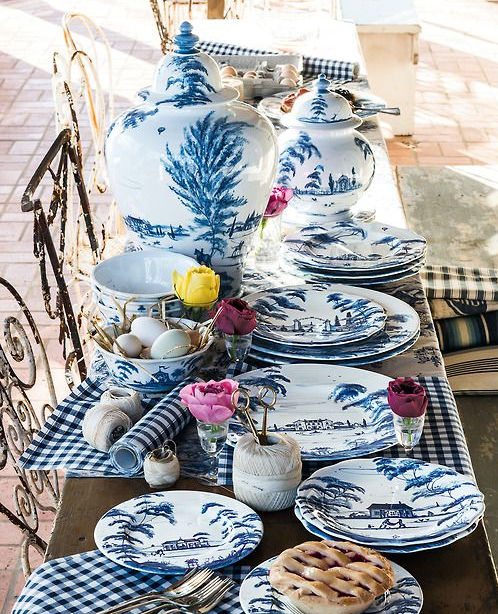 I chose Country Estate because it's chinoiserie/British/blue and white awesomeness/has matching ginger jars. And, because it has a special place in my heart. I first discovered Isis Ceramics, of which Juliska's pattern is the mass-market version, when I was at Oxford. The little dish in the upper left hand corner is one of Isis' hand-painted scenes of the University. The little elephants are salt and pepper shakers, another World Market find. Back to wall art. This is how I'll hang the set (propped up, as you can see). The rather crooked piece in the center is my attempt at framing a paper cut out I purchased in Shanghai. Plainly, I'm going to have to get a professional on the job, but it will play nicely with the ikat patterns. 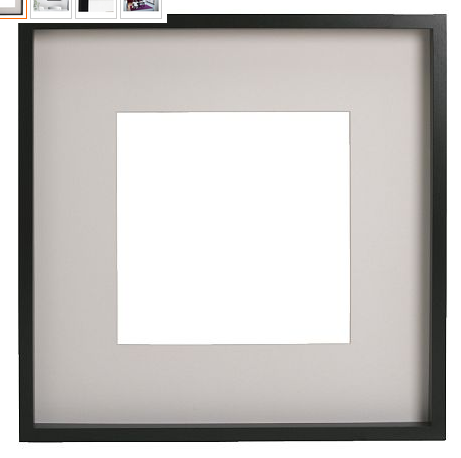 If you wanted to exactly duplicate the Pottery Barn look, IKEA has these black frames, also for $20 each. Great idea; yours look fabulous.